Be a supportive coach - Tune into your employees' needs and delegate projects based on their strengths and weaknesses. Correct poor performance - Learn the psychology of motivating people. You'll be able to correct negative behavior gently for long-term change. Bring out the best in your employees - Help them grow so they'll contribute more and feel better about themselves. You'll all enjoy your workplace more - and find greater satisfaction in working together. 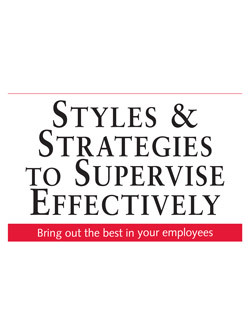 This seminar is a good way to ensure your employees’ supervisory styles and strategies are in sync with what today’s work force really wants and needs. Whether your supervisory personnel are new, up-and-coming or veteran leaders, this training offers a wealth of skills and insights they can begin applying to work situations as soon as they return to the office. When you offer your staff members training in their fields, you are sending a clear message saying you care about and support their career growth. This boot camp will also boost morale, enthusiasm and productivity in ways no amount of money can buy. Plus, they’ll definitely learn valuable information that will make your life easier in the long run … and who doesn’t want that? Not sure whether to attend? Let us address your concerns. Will my managers approve it? They’ll benefit by having a better trained and more respected supervisor. 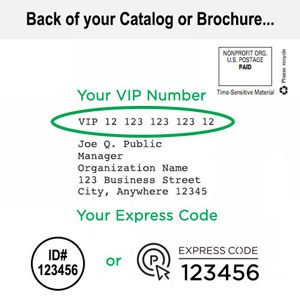 When you make your request to attend, show them this brochure. You’ll learn a lot. Supervision is not something you just pick up as you go. This seminar is focused on helping you solve supervision problems quickly. The skills you learn will save you countless hours in the future. Not at a Pryor Learning Solutions training seminar! Our trainers create lively learning environments and earn an average audience rating of over 9.0 on a 10-point scale. If you realize the program is not for you, just let us know — we’ll send you a full refund. Fair enough? See our guarantee below for details.